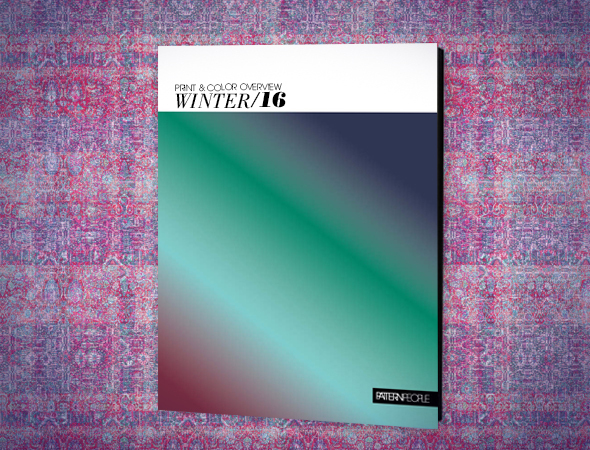 For Autumn/Winter 2016, we present you with eight key print stories and eleven color directions in our Print & Color Overview Guide Winter 2016. The clarity of these layouts will allow you to focus on your own translation while staying current and on trend. Lush graphics and inspirational photography laid out in magazine style spreads provide valuable and easy to interpret information for all types of designers. Receive technique and application suggestions, color palette forecasts featuring Pantone reference numbers, as well as ideas on updating classic designs. This definitive guide is one tool you won’t want to be without as it sets the tone of what’s to come in the world of surface design. Whether you are an independent designer, a small studio, or a corporation, this guide will help you get started on all of your Winter 2016 creative pursuits.